* After years of dreaming and months of planning, you deserve to proudly wear Mariell's elegant inlaid Austrian crystal "Bride" pin to show you're the star at your shower, bachelorette party or honeymoon! 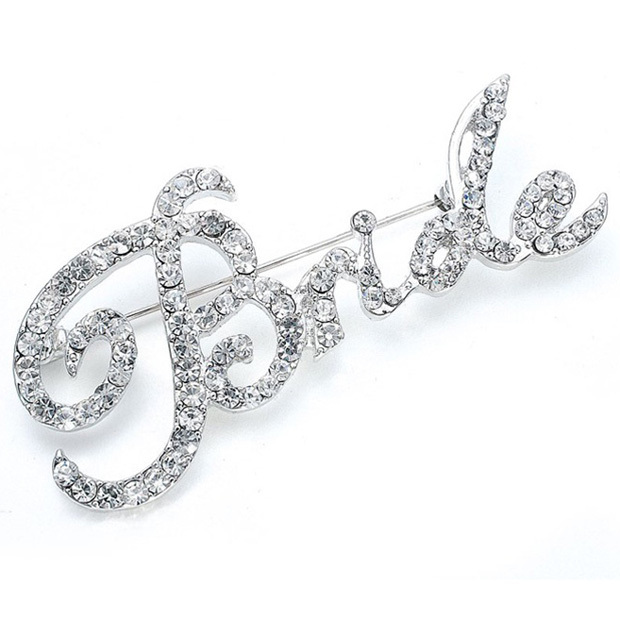 * This 2 1/4" w silver bridal brooch features the word "Bride" gracefully written in script. * This brooch is priced to please.